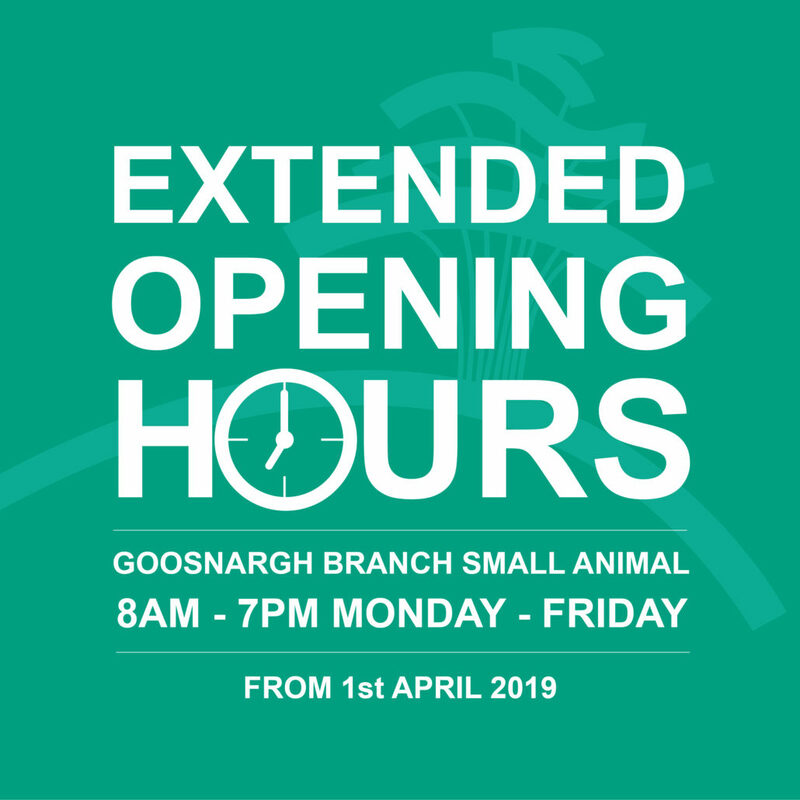 Due to recent refurbishment at our Goosnargh branch, we are now able to offer extended opening hours (small animal division). From Monday 1st April 2019, our Goosnargh Small Animal Surgery will be open from 8am – 7pm, Monday – Friday. To book an appointment at any of our branches, please click here for our contact details.